October | 2013 | Committed. Halloween in our family is a REALLY. BIG. DEAL. Actually, we take any excuse to dress up in costume. My husband loves the decorating. I love the candy. The kiddo will hopefully love all of the above. Since we’ll be traveling this year and missing out on the good ol’ American fun, I thought I’d walk down memory lane and share a few of our costume ideas. I’m sad to not do what we had planned, but hey, I’ll take a trip to Spain over a good costume any day! 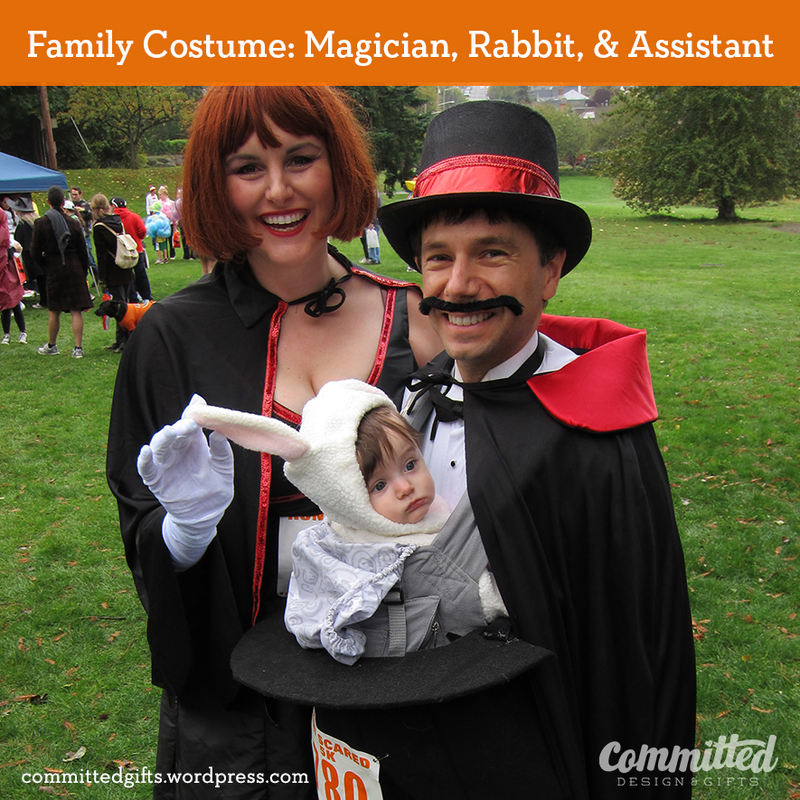 A magical family costume idea for babies or toddlers. I don’t know where the idea came from–I was trying to find something cute for my then-8 month-old that would work in a carrier and that we could integrate as a family. I found the bunny costume at a consignment shop, and the rest was history! We won 8 pounds of Vermont cheddar for our efforts. I’m not kidding. We ate it all. Also not kidding. I wish I’d taken pictures of the making of this, but I’ll try to describe it in simple detail.